Please note: the restaurant is closed this weekend. It will reopen, and stay open, for the rest of the season beginning at 5 pm on Friday, April 19th. We’re now waiting to see what sort of impact the upcoming snowstorm may have. Impossible to tell. Feel free to call the shop for up-to-the minute reporting. So that’s the water level situation. The fishing situation, as I see it, is a normal spring on pause for run-off which, of course is normal. 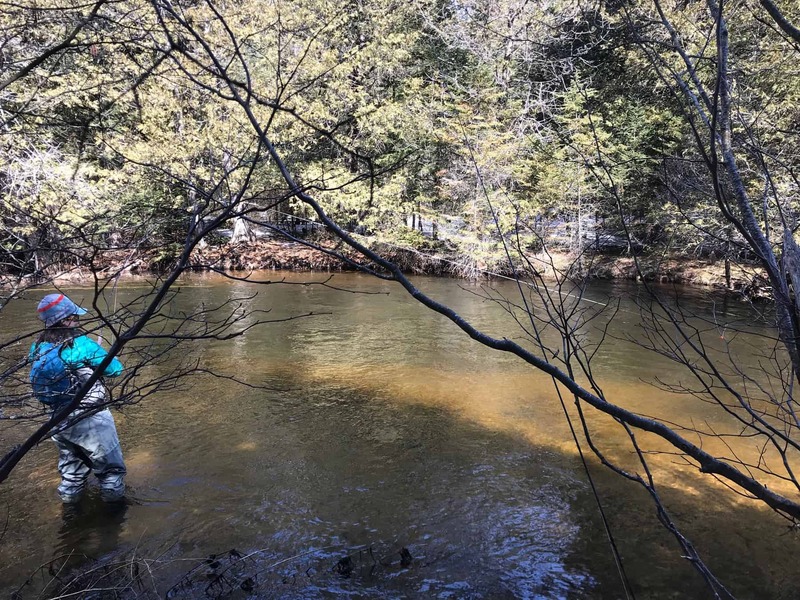 There are black stones throughout both river systems and in certain stretches the spring blue wing olives have begun and will likely provide some reasonable dry fly fishing next week when it warms up. But for the rest of this week and weekend the best approach will be to fish subsurface. Sink tips, split shot, and tungsten. 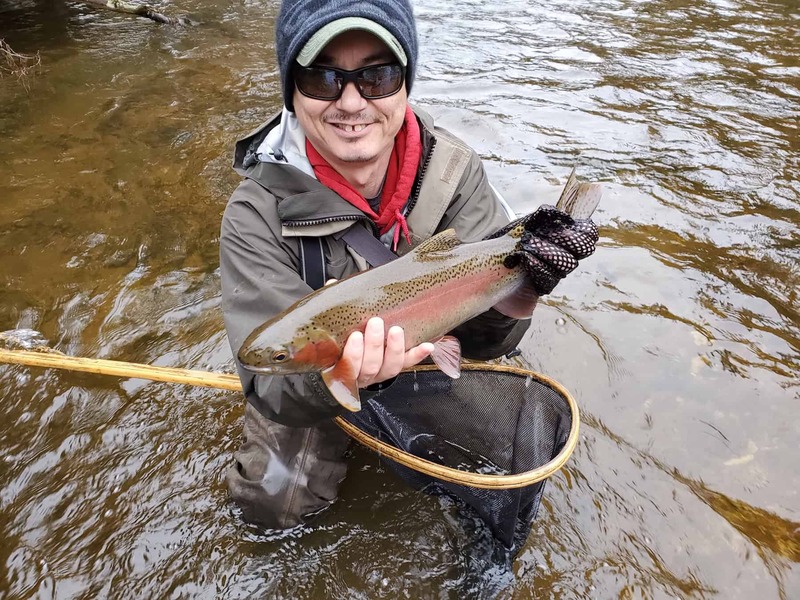 There does seem to be a healthy shot of nice trout in the system and as the edges of the river clear there will be some fishing for the wading anglers and plenty of streamer opportunities for the boat anglers through all the open water. Streamer-wise, I’ve relied on olive and white this past week and the trout have seemed reasonably interested. 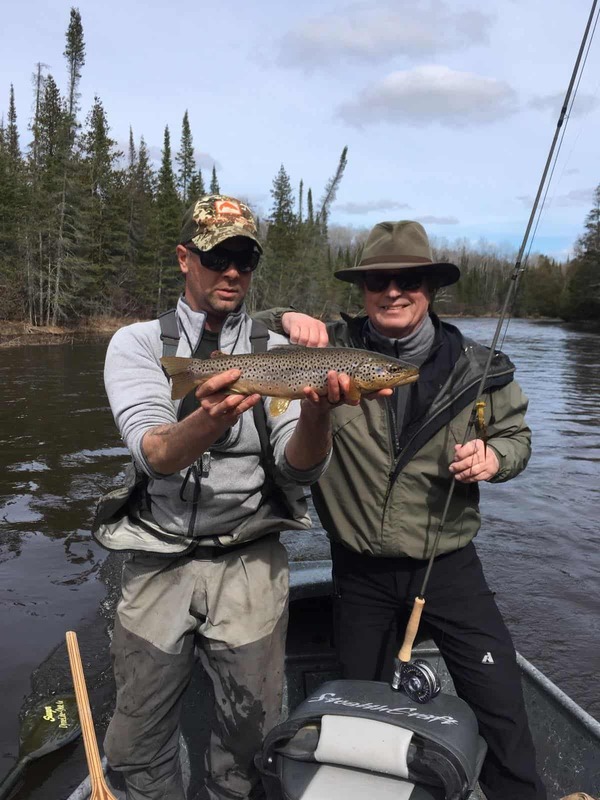 But…this is the time of year where there are more trout sitting mid-river, and anglers fishing smaller flies on shorter strips will start to pull trout from the mid-river shelves and side seams where they are otherwise content to sit and eat nymphs. Try a two fly rig with a heavy fly in front and a sink tip or attachable sinking leader and fish it on short strips through the water column. 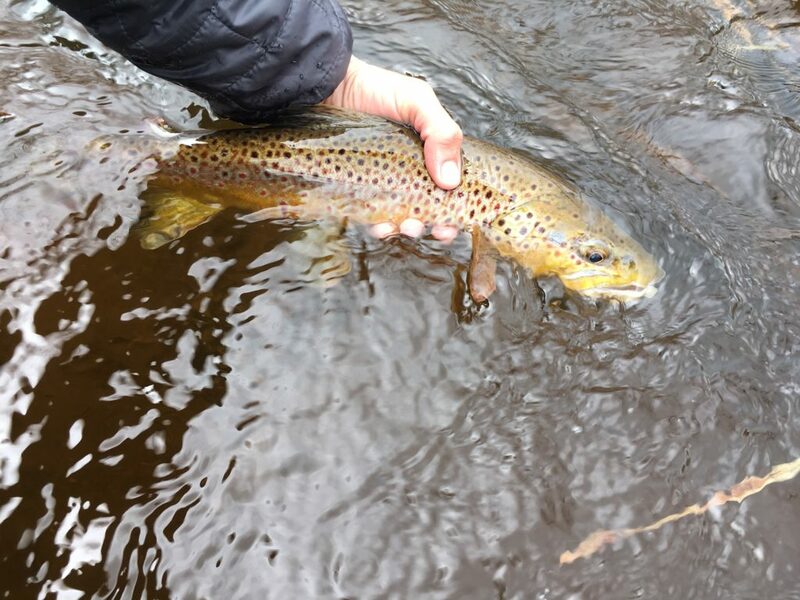 This system accomplishes two things that are valuable in high water: they let you be much more methodical than slapping around a big fly (which covers water quickly but also relies on a fight or flight reaction) which, in turn, allows you to fish less water. 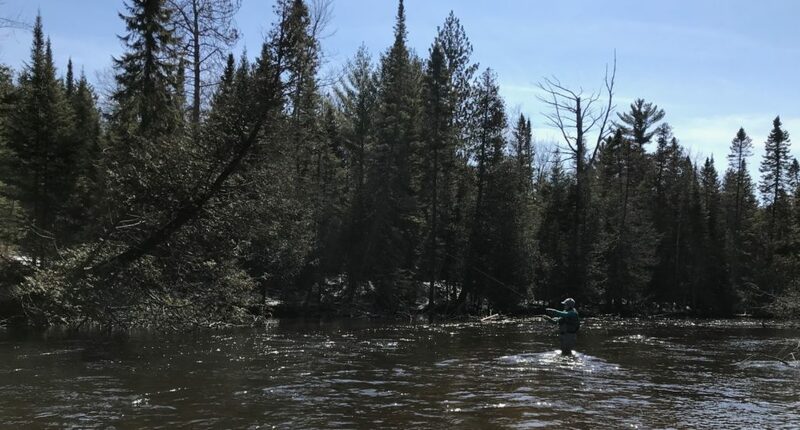 In high water, the wading angler is often forced to fish just a few runs before running into an impassable pinch or pool, so maximizing the amount of water that can be fished is important. That was a fun day. We only had about an hour to fish before the school bus delivered responsibility, and so we did what winter anglers do: we hiked fifteen minutes to fish exactly one run for thirty minutes and then hiked out. Why? Because one good run this time of year is worth all the others ones combined. 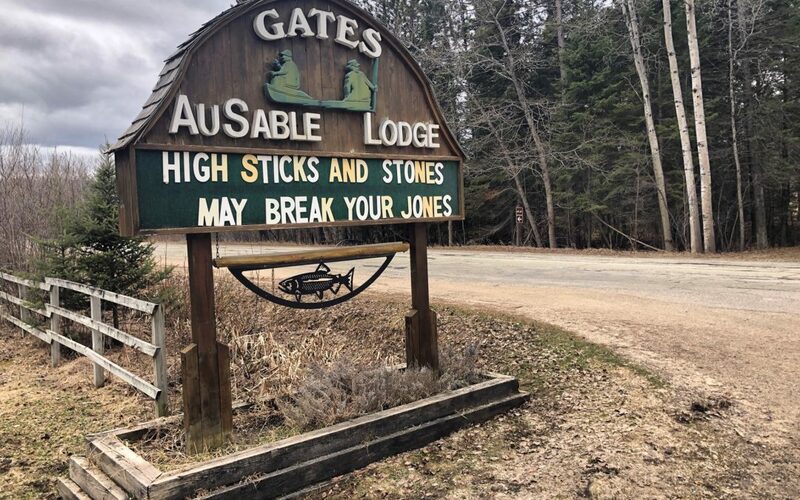 It’s a gamble – more hiking, less fishing – but we caught two good trout and hooked another and would have done better but I’m too cheap not to retrieve tungsten flies from across the river. Making the most of a beautiful day. We’ve added a last second addition to our Saturday Sessions. Explore the Dark Side with Picket Pin! I emailed ‘Pin a few weeks ago and never heard back because I guess he hadn’t checked his email for “a week.” Ha – lifestyles of the retired. Anyway, learn to tie fun foam flies with this night fishing guru on Saturday, April 20, 5:30 pm – 9:00 pm. This will be our last Saturday Session of the winter, and what a highlight it’ll be all. Includes all materials and dinner. Click here to learn more.